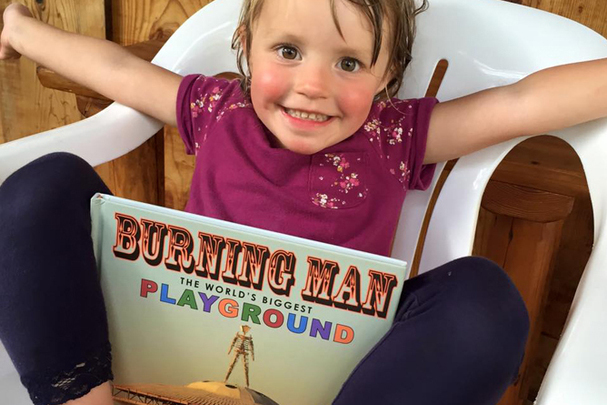 ﻿Welcome to Burning Man - The World's Biggest Playground, the first children's book about Burning Man. A children’s book about Burning Man? Of course! Why should the grown-ups have all the fun? 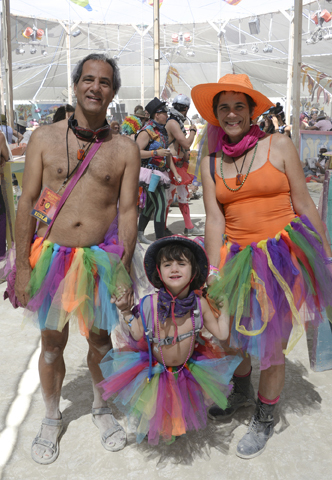 Children have been going to Burning Man since its inception on Baker Beach in San Francisco in 1986. The kids already get it. It’s the rest of us who have to remember to have fun as we walk through life. 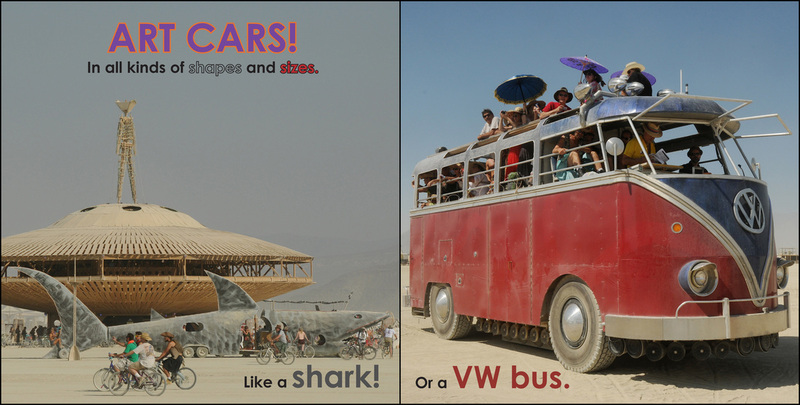 And there’s no better place to learn that than Burning Man - The World’s Biggest Playground! For the last three years I have been making personal books for my daughter Veronica (who is now 4) after each burn since she was not with us. It was that effort that evolved into this book for children everywhere. 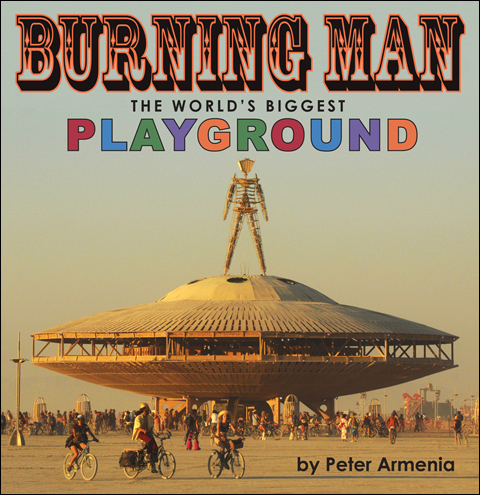 I have worked with the approval of the Burning Man organization to produce a book that honestly reveals what Burning Man is in a format that will be acceptable and enlightening to children and adults alike. The book is full of colorful and engaging photographs that tell the story of what Burning Man is in a tasteful manner that nobody could find offensive, whether they are a Burner or not. This first edition of the book is a beautifully bound hardcover with 56 pages of color photographs by photographer and writer Peter Armenia. The book is 8 1/2 X 8 1/2 inches square and is as durable and lovable as any book on a child's bookshelf. The perfect size for both little hands and yours! 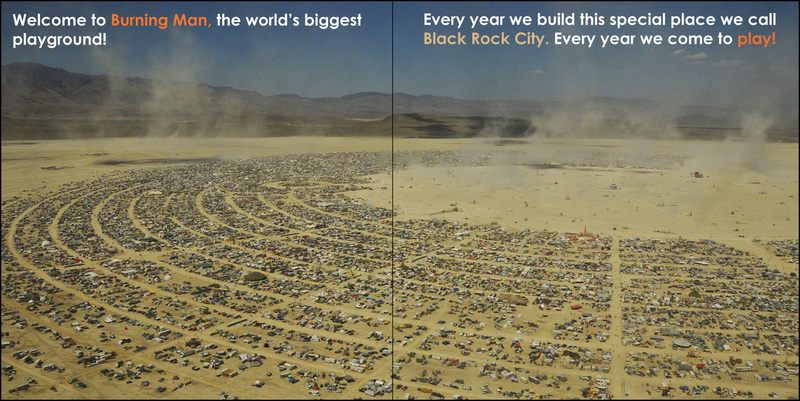 We will gift at least 10% of our books to kids and schools in need of some Burning Man love. This is a great way to bring Burning Man culture to those who may be unfamiliar with our Ten Principles ethos. My wife and I have been going to Burning Man since 2008, in fact we got married there in 2010. As a photographer who has traveled the world shooting in over 50 countries, I go to to Burning Man as a participant and a photographer. My work has been published in numerous books, magazines, and calendars including Time, Escape, Travel Holiday, Algonquin books, and Kodak Calendars.